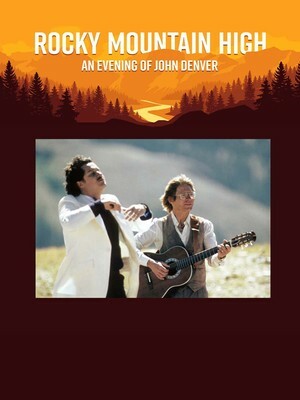 Why See Rocky Mountain High - An Evening of John Denver? 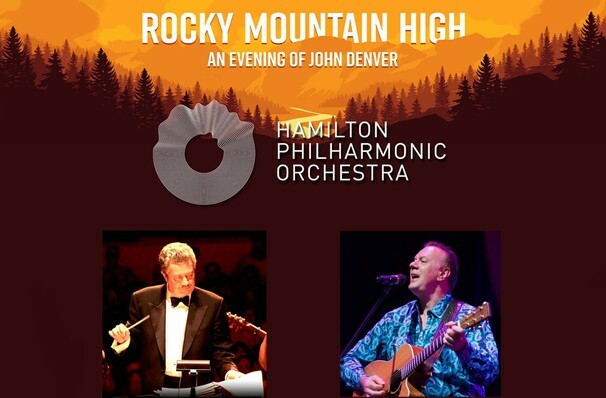 John Denver's award-winning arranger/conductor Lee Holdridge joins forces with the Hamilton Philharmonic Orchestra, Canadian Recording Artists, soprano and Juno nominee Miriam Khalil, tenor David Curry and a Canadian all-star band for this amazing one night only celebration of the man, his music and his legacy. Relive the songs that helped shape a generation and sing along to Country Roads, Back Home Again, Sunshine on My Shoulders, Annie's Song, and many more. Under the direction of Mr. Holdridge, John loved how symphony orchestras transformed his songs into these beautiful, unforgettable pieces of work, introducing Lee at each every concert as, "A man who I think is simply a genius". Transcending a regular tribute, this celebration doesn't rely on someone dressing up like Denver or trying to imitate him. Let's face it, there was and always will be only one John Denver, so instead the focus is entirely on the music and with Mr. Holdridge conducting his original scores, and vocalists staying true to John Denver's style, the night is magic! Lee Holdridge is a Hollywood legend and it's understandable why. As well as John Denver, Lee Holdridge has penned countless scores for both TV shows and motion pictures, and has either written, arranged, or conducted for numerous other respected pop artists, including Barbra Streisand, Brian May of Queen, Stevie Wonder, Al Jarreau, Dionne Warwick, Diana Ross, Natalie Cole, and opera tenor Placido Domingo. He has won seven Emmy awards and two Grammys. Having Lee Holdridge conduct the Hamilton Symphony is a special treat that promises to be a memorable occasion that will be talked about for years to come. In support of YouthLinks Tyler McGill Foundation. Sound good to you? Share this page on social media and let your friends know about Rocky Mountain High - An Evening of John Denver at Roy Thomson Hall. Please note: All prices are listed in US Dollars (USD). The term Roy Thomson Hall and/or Rocky Mountain High - An Evening of John Denver as well as all associated graphics, logos, and/or other trademarks, tradenames or copyrights are the property of the Roy Thomson Hall and/or Rocky Mountain High - An Evening of John Denver and are used herein for factual descriptive purposes only. We are in no way associated with or authorized by the Roy Thomson Hall and/or Rocky Mountain High - An Evening of John Denver and neither that entity nor any of its affiliates have licensed or endorsed us to sell tickets, goods and or services in conjunction with their events.